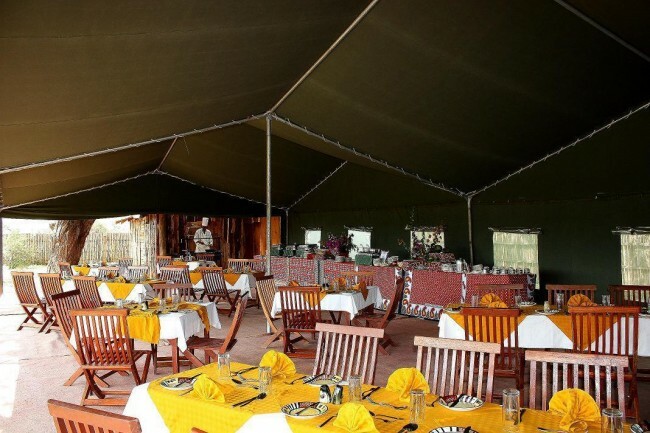 Amboseli is a place of wide dry plains with the horizons stretching to farthest to become with the sky and is dotted with green swamps and semi-arid acacia trees and grasses where great herds of elephants can be seen. 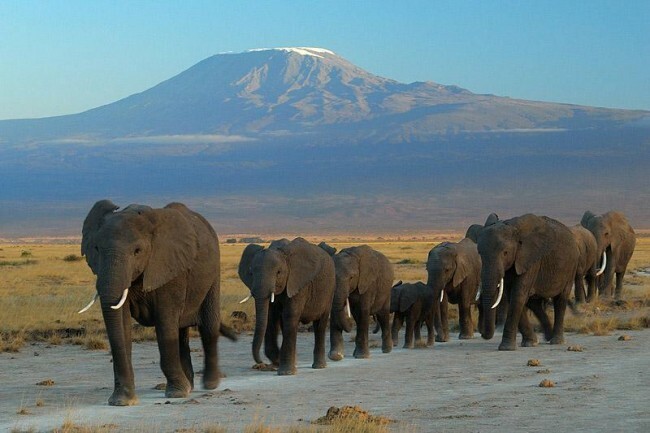 In fact Amboseli is renowned for its elephants populations which include their tusked bulls. This stunning backdrop has made it become a darling for photographers and film makers. 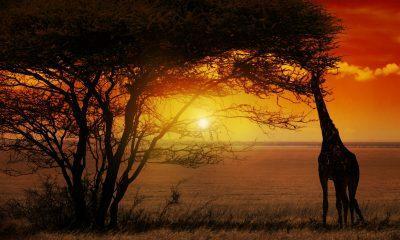 Amboseli plains. 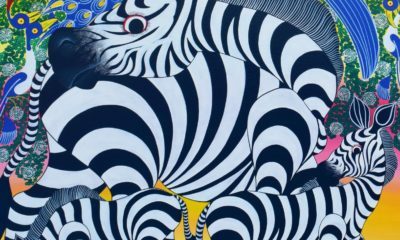 A timeless African image. 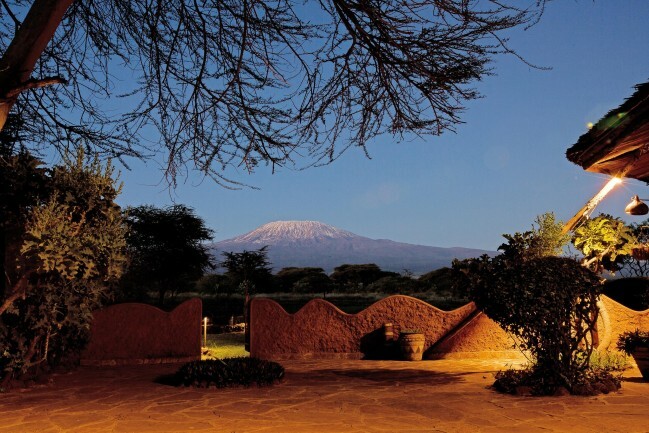 An early morning light reveals the mountain turned into dark hue of purple and its snow into an ethereal pink and the sight of the mountain high above herds of elephants crossing the Amboseli plains, is a timeless African image. 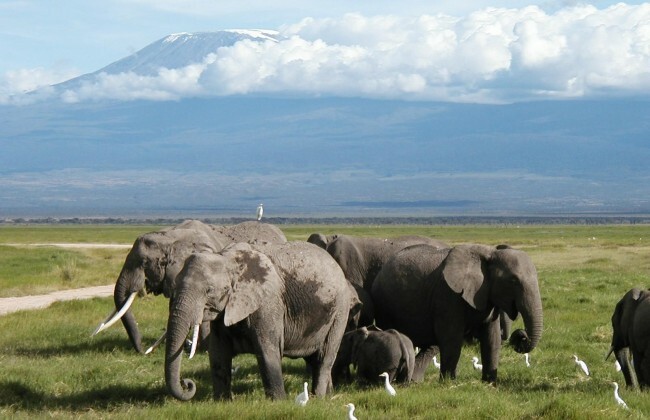 Lake Amboseli is a non-permanent lake which floods only in heavy rainfall and fed with underground steams from Mt Kilimanjaro. Along the streams are large papyrus swamps that form the only permanent source of water for the animals in the park. 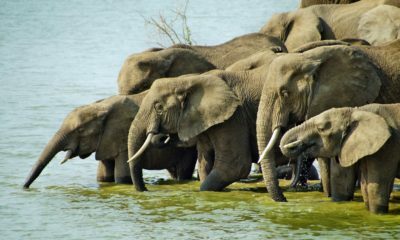 The swamps therefore have large concentration of animals and centre of activities for large mammals such as the elephants, rhinos and buffalo. 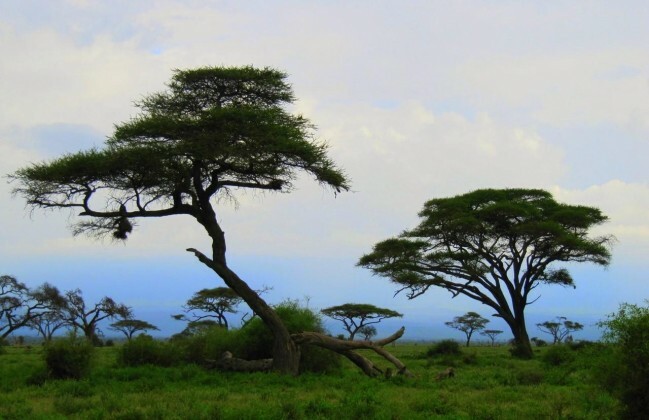 The swamps are surrounded by the very tall Acacia trees. 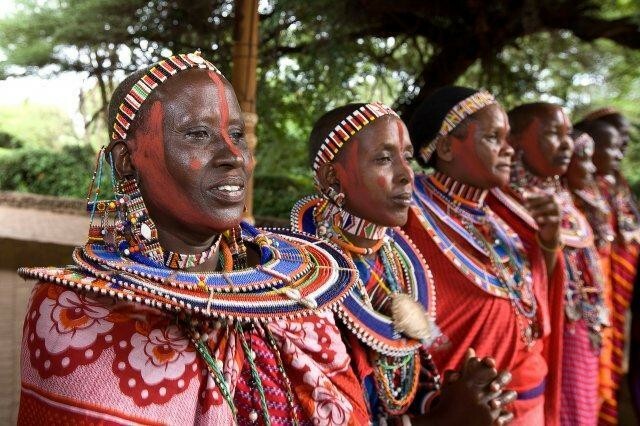 Amboseli is home to Maasai communities. 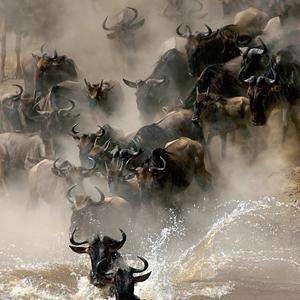 Being an open country, it’s a good walking territory and many camps and lodges organize game walks or trips to visit and spend time in the local Masai Villages. 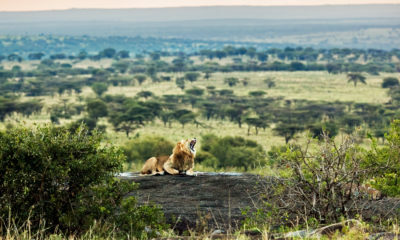 The Big 5 and other wildlife such as spotted and striped stripped hyena, Maasai Girrafe, leopard, cheetah, Hyrax, did-dik, crocodile, Lesser Kudu and nocturnal porcupine. 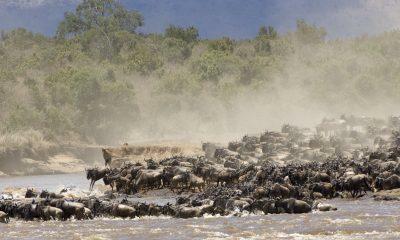 Large swamps hosting the many elephants, buffaloes, hippos and water fowls. 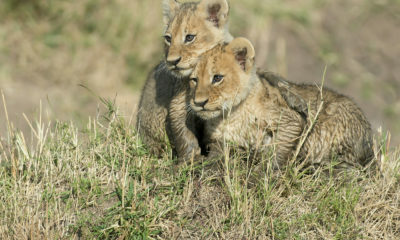 A paradise for birdwatching safaris. Over 600 bird species have been recorded too in the park, with 40 species being prey birds, it is a paradise for bird lovers and watchers. The Observation Hill towers accessible in the day, the hill top offers countless photographic views and amazing sunset to behold. 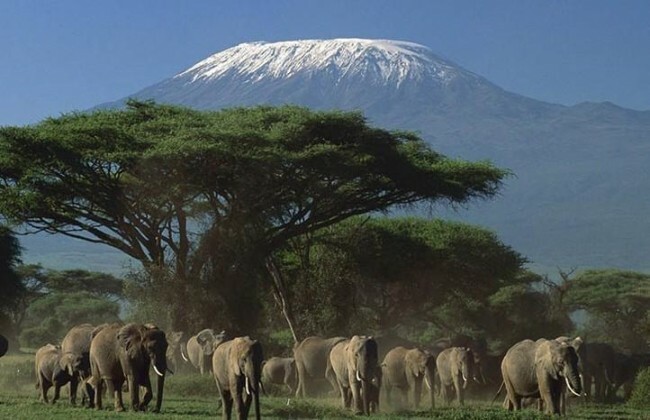 Amboseli national park is towered by Mt Kilimanjaro which stands 5896 m high and is one of earliest Kenya’s game sanctuaries. 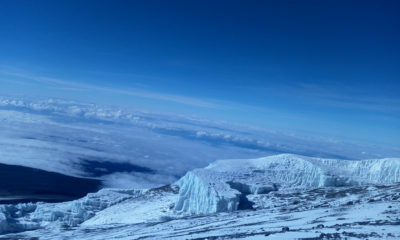 It is possible to climb Mt Kilimanjaro or access Tsavo National Parks if staying in the Amboseli. Large swamps buffaloes, hippos and water fowls. Over 40 species of prey birds.